This month’s Destination Duo is a collaboration with Paint Box Polish! 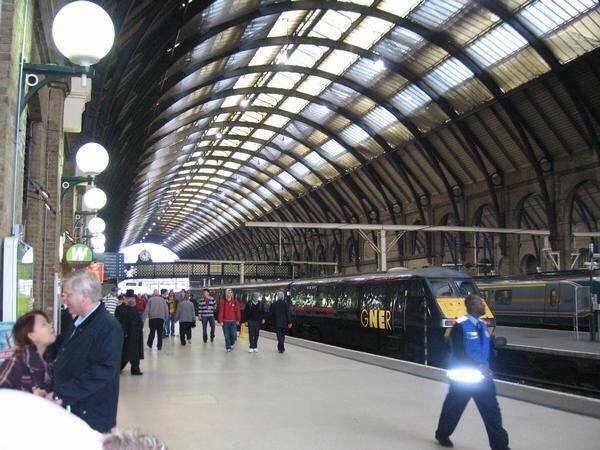 The polishes were based on the photo below that Pam from Paintbox took at King’s Cross Station. It's a taupe crelly packed with copper shimmer, silver flakies, and red to gold shifting microflakies. I wore two coats with topcoat. 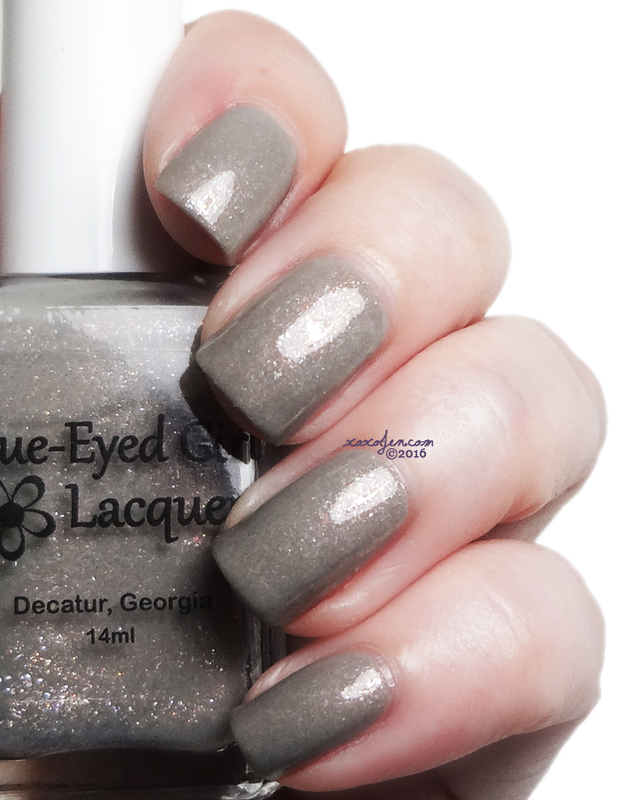 It has a smooth easy formula and is super shimmery! The other polish in the duo (not pictured) is from Paint Box Polish called Anything From the Trolley, Dears? 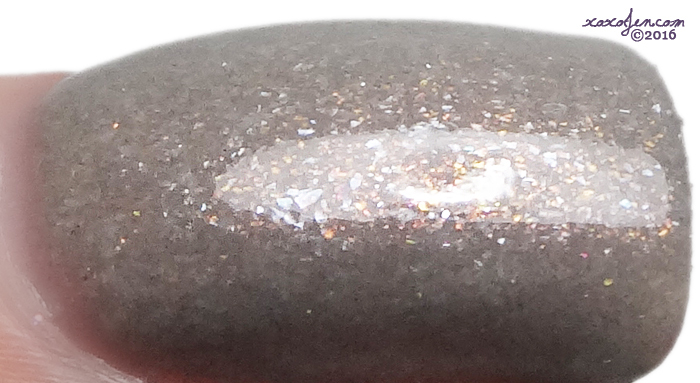 It's a glitter topper with iridescent flakes, holo & charcoal flakies, red/gold shimmer, and red square glitters. In addition to the two polishes, the set also comes with a Paint Box Polish mani fizz scented like Butterbeer! 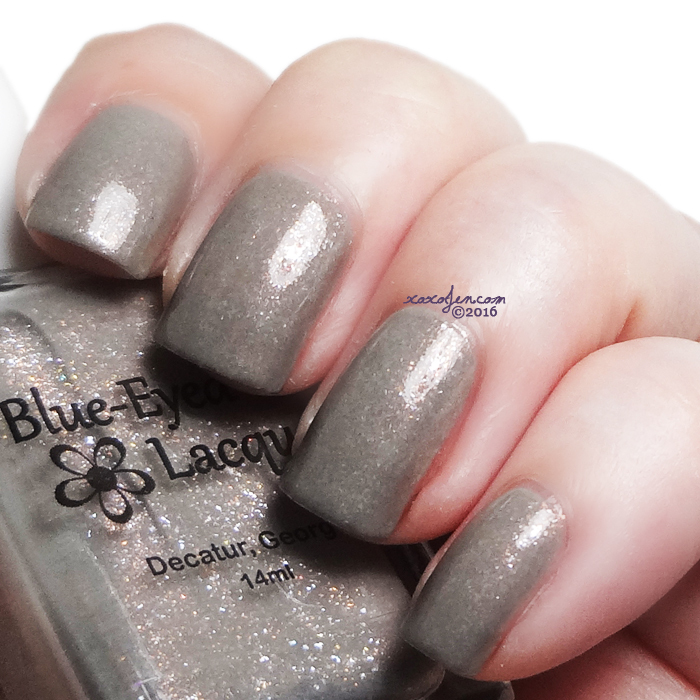 The release is scheduled as a preorder from 9/28 at 2:30PM CDT to October 1 at 10:59PM at both Paint Box Polish and Blue-Eyed Girl Lacquer shops.